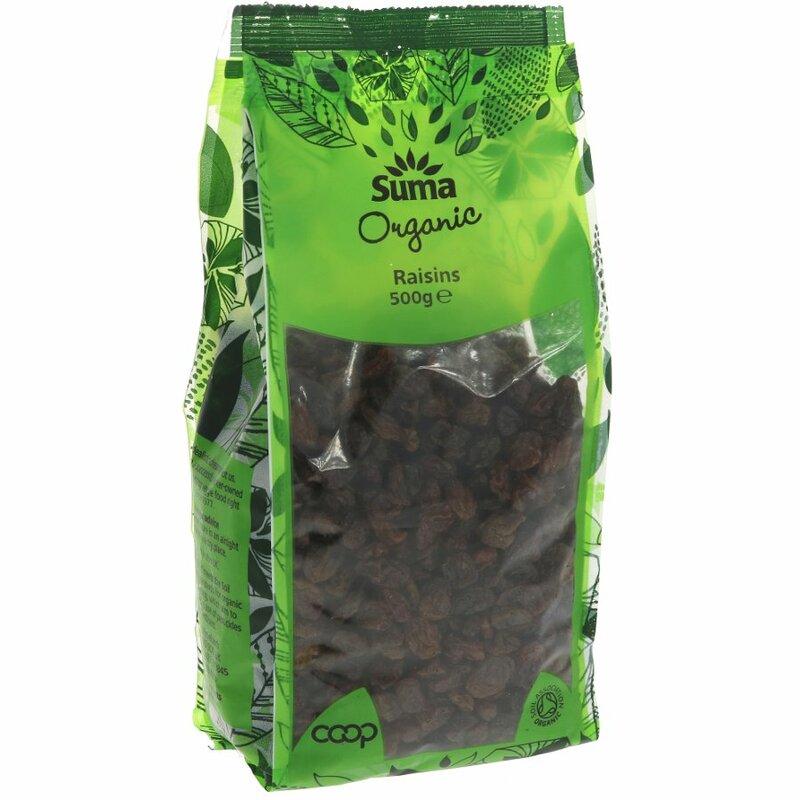 The Suma Prepacks Organic Raisins - 500g product ethics are indicated below. To learn more about these product ethics and to see related products, follow the links below. 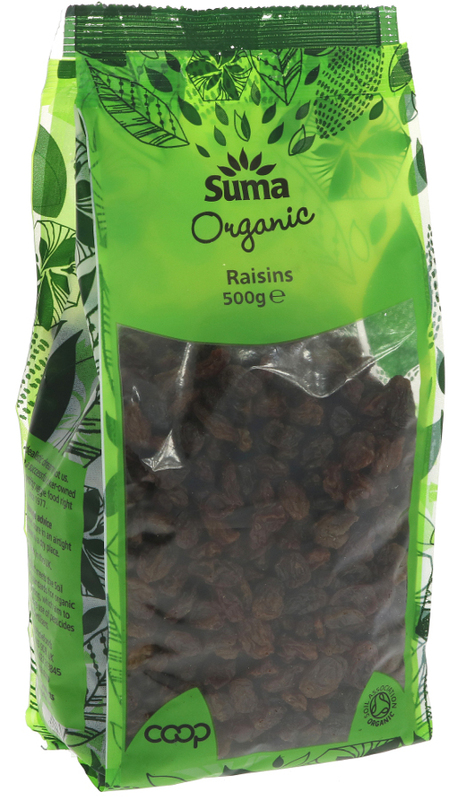 Tasty raisins,all the better for being certified as produced organically, with no artificial mineral oil preservative. Great for all cakes & biscuits & flapjacks & added to apple pies. A: Hi, these raisins have organic vegetable oil added to them to prevent them from sticking together. Hope this helps. Robyn. 13 out of 15 found this question and answer helpful.